Get to have that ultimate golfing experience on a Nairobi Full-Day Golfing Trip in Kenya and have with you the Windsor Golf & Country Club’s lush, springy fairways, fast, true greens, and a challenging 73 sand bunkers. Windsor Golf & Country Club is one of the top golfing destinations in Africa assuring you of an excellent golfing experience. Nairobi Full-Day Golfing Trip in Kenya is where you can truly enjoy a round of golf while on vacation. Being one of the selected hosts for top golfing events, The Windsor Golf & Country Club is “The” golf course everybody is wanting to experience. With its championship design and length of the course, you will be having an unforgettable round of golf. The golf course is strategically located through coffee farms and indigenous forests with its high and low terrain to give it more character and design. You will be accompanied by an English-speaking guide to make you feel more comfortable with the place. Call us now and we’ll book your trip in Kenya, Africa for an unforgettable golfing experience on a Nairobi Full-Day Golfing Trip! 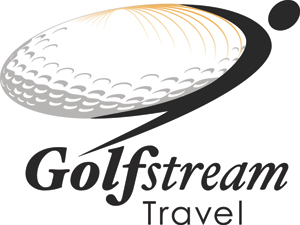 Golf Stream Travel will help you plan your trip to Kenya.